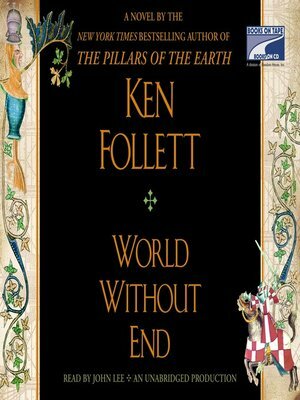 In 1989, Ken Follett astonished the literary world with The Pillars of the Earth, a sweeping epic novel set in twelfth-century England that centered on the building of a cathedral and the men, women and children whose lives it changed forever–and ever since fans have hoped for a sequel. And at last it is here. WORLD WITHOUT END takes place in the same town of Kingsbridge, two centuries after the townspeople finished building the exquisite Gothic cathedral that was at the heart of The Pillars of the Earth. The cathedral and the priory are again at the center of a web of love and hate, greed and pride, ambition and revenge.